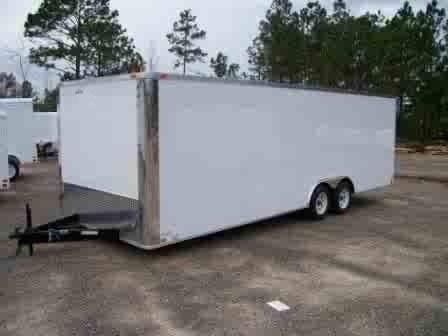 The 8.5' x 32' Car Hauler Trailer for sale in Douglas, GA comes with high end standard features including a heavy duty ramp door, 36" side door, and a one piece Galvalume roof. 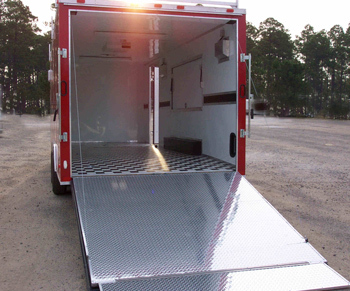 You can choose from hundreds of options and upgrades to fully customize your trailer. 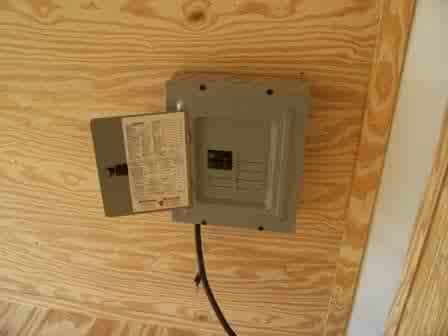 Scroll down to see pricing and details. 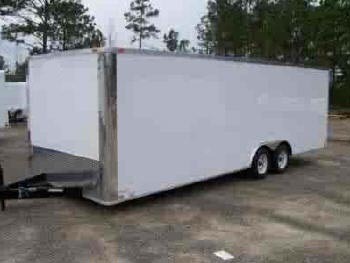 Buy your 8.5' x 32' enclosed car trailer now and take advantage of our $245 discount currently offered on all our 8.5' enclosed trailers. 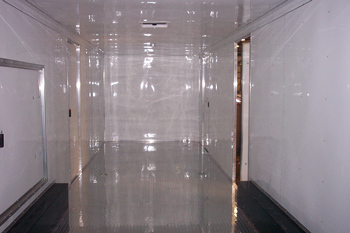 When you order your car trailer, you will be charged the deposit only. 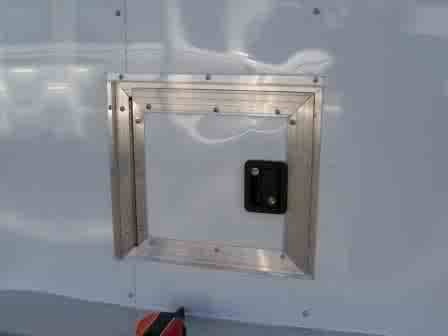 The balance will be due when you pick up your finished 8.5 x 30 ft car trailer. 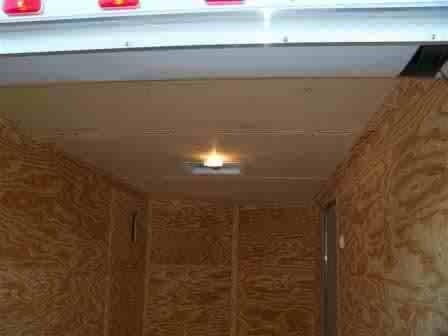 (Price is the total cost for the base trailer or options. Deposits are reflected in the Deposit column. Your balance due will equal the total Price minus the total Deposit.). 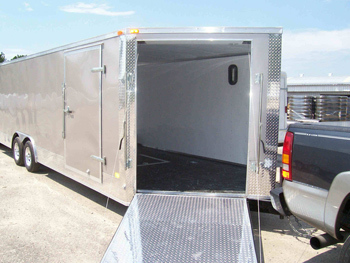 See our selection from additional enclosed trailer pickup locations if Georgia is not ideal for you.